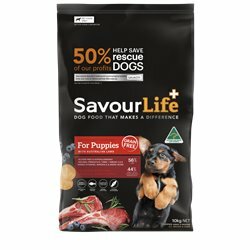 SavourLife There are 4 products. 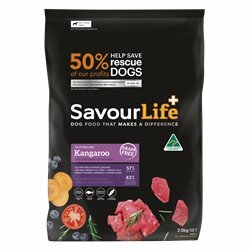 SavourLife’s Healthsource Superfood Grain-Free Kangaroo is a healthy choice for all dogs, and is one of the most popular, low-allergen, lean protein sources available. 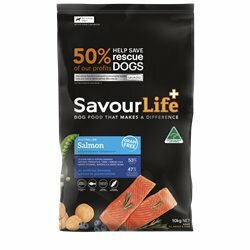 SavourLife’s HealthSource Superfood Grain-Free Salmon is an excellent source of natural nutrients for dogs of all sizes and ages. 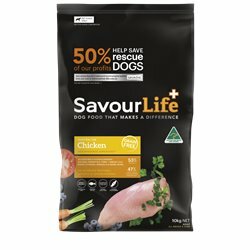 SavourLife’s HealthSource Superfood Grain-Free Chicken is an all-natural, holistic, Australian-made/Australian meat, grain-free, gluten-free food with natural superfood inclusions like Sweet Potato, Yucca, Kelp, Carrot, Broccoli and Blueberries; plus vitamins, minerals, natural pre-biotics and amino acids. The first months of a puppy’s life are crucial to their long-term health and well-being. Puppies require more nutrients and energy than older dogs to help them grow into the best dog they can be. With all the healthy vitamins, minerals and nutrients to ensure your puppy’s development.